(CNN)Pastor Harry Richard is ready to help his community begin healing. 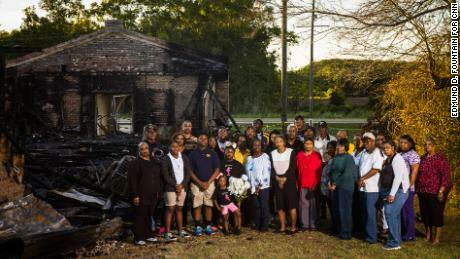 The pastor led the Greater Union Baptist Church in Opelousas before it was burned to the ground on April 2. 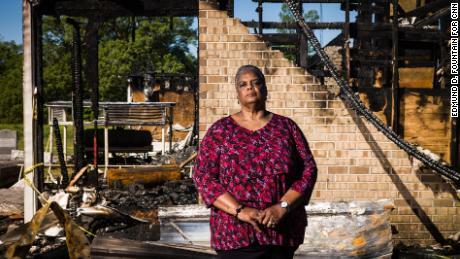 Just a week earlier, St. Mary Baptist Church in Porte Barre had been set ablaze, and on April 4, Mount Pleasant Baptist Church was the last to burn. Their church was burning. 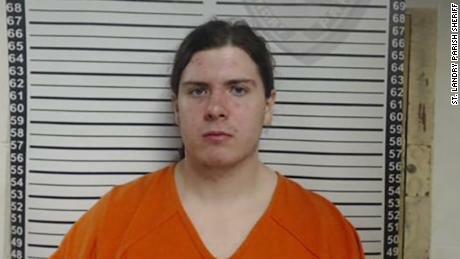 They linked arms and prayedHe said he believes people who “do those kinds of acts are lost and searching for attention.”CNN learned Matthews had previously expressed disgust with Baptist beliefs on Facebook. Responding to a post about “afrikan spirituality,” Matthews, posting under the name Noctis Matthews, said he cannot “stand all these baptists around here, bunch of brainwashed people trying to find happiness in a religion that was forced on their ancestors just as it was on mine.”He also said he wished that “most blacks [sic] people would look into ancient beliefs of pre Christian Africa.”CNN reached out to Matthews’ lawyer and the prosecutor’s office but have not yet received a response. When CNN asked authorities if they were aware of the posting, they said because the investigation was ongoing, they would not detail any particular leads they are following.Following the cluesAccording to a court affidavit, it was the charred remains of a Scepter-branded, gallon gas can that led authorities to Matthews. Surveillance cameras captured a pick up truck believed to have been driven by Matthews minutes before the Greater Union Baptist Church caught on fire. The gas can was discovered by federal ATF agents on Tuesday at Mount Pleasant Baptist Church, the affidavit said. Investigators learned that a Walmart in Opelousas was a local seller of the Scepter-branded can. Congregants were 'robbed of their sacred space' but not ruined. The story behind this photoWalmart then informed the investigators two cans were purchased on March 25 — less than 3 hours before the first fire — along with a 10-pack of automotive cloths and a lighter, the affidavit states. The receipt showed the purchase was made with a debit card in the name of Holden Matthews.Investigators also obtained surveillance photos of the purchaser and the pickup he was driving. The affidavit said a Ford pickup like the one Matthews was driving was registered to the suspect’s father. Matthews’ cell phone was traced to the area of the fires. CNN’s Paul P. Murphy and Joe Sutton contributed to this report. With India tensions simmering, is Imran Khan ready for his first big political test as Pakistan's Prime Minister?